If you are presently organising a corporate event for your own or someone else’s brand, you will probably not need to be reminded of the critical role that the most suitable venue can play. Indeed, the venue is the most influential ingredient in any event’s success other than the event itself. However, some of those planning company events such as a product launch, meeting, seminar or conference can occasionally be guilty of underrating the importance of their chosen venue’s location – and in particular, also not properly understanding the many ways in which location is crucial. To get a sense of just how profoundly the small matter of location can shape an event’s structure and success, one only needs to contemplate the corporate event space here at Château Bouffémont. Yes, it is true that this private venue appeals strongly to the heart, this monumental stone-built former residence of the Marquise of Preignes and Baron Empain exuding no shortage of aristocratic charm, to say nothing of the extraordinary wider setting provided by its spectacular manicured French gardens. Nor do we serve up merely one corporate event space, but instead – in effect – five grand reception halls and nine magical suites which, together, lend themselves to the kind of remarkable versatility that you may not have expected from a historic French chateau. These elements are certainly advantageous in isolation. But no less significant is the role that they are likely to play together in the structure your corporate event can take, and what opportunities you have to woo and cater to the most specific requirements of your attendees. One of the most powerful reasons to hire Château Bouffémont for your organisation’s next corporate event, however, is the simple fact that it is located so close to one of the truly great global capitals – Paris. Indeed, when enjoying the festivities of your corporate event in the tranquil setting in the heart of the Montmorency Forest, you and your guests will also be a mere 30 kilometres from the centre of the City of Lights – that’s just a 40-minute drive away. So, not only will you be well-placed to attract residents of Paris and its environs to whom your corporate event may be relevant, but the city’s world-beating restaurants, art galleries, museums and historical sites may also serve as additional attractions enticing otherwise reluctant guests. Such visitors may be interested to read Time Out’s rundown of 50 of the finest Paris attractions right now. Factors like these are why event planners routinely advise their clients to select a private venue located near a major centre of population. 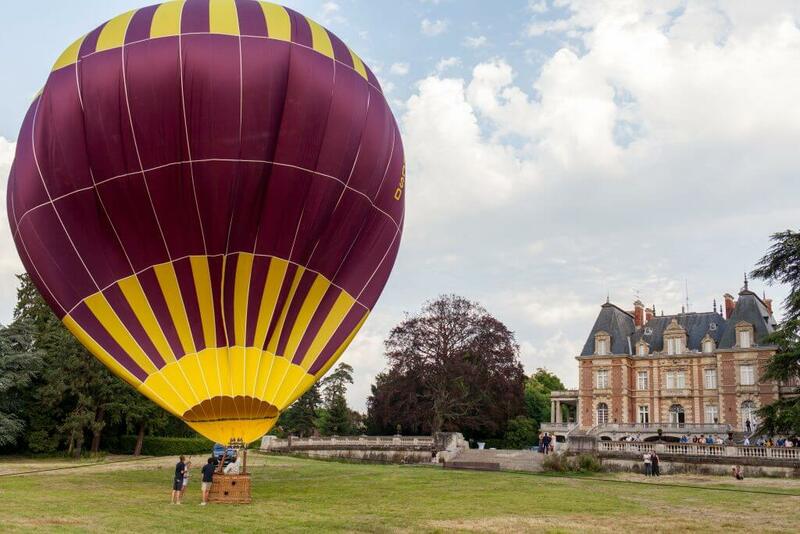 Another thing to bear in mind is that larger towns and cities tend to incorporate extremely well-developed transport links by their very nature; sure enough, when you opt for Château Bouffémont as your corporate event space, you will be just a 20-minute journey from Charles de Gaulle Airport. This is likely to be a significant convenience for guests seeking to reach your venue from overseas, as well as return home by air once the event has concluded. Yes, there are other factors to contemplate other than pure location when you are attempting to choose the private venue that will deliver the best results for the event you are planning. However, when you pick Château Bouffémont as the venue of your corporate event, there is no need to compromise as far as both location and non-location elements are concerned. Instead, you and your attendees can discover a true fairytale venue that will reflect positively on the taste of everyone partaking in the event. Contact our corporate events team now, and you will be able to learn more about why a company event held at our magnificent heritage venue could be one that every attendee remembers with affection for many years to come.